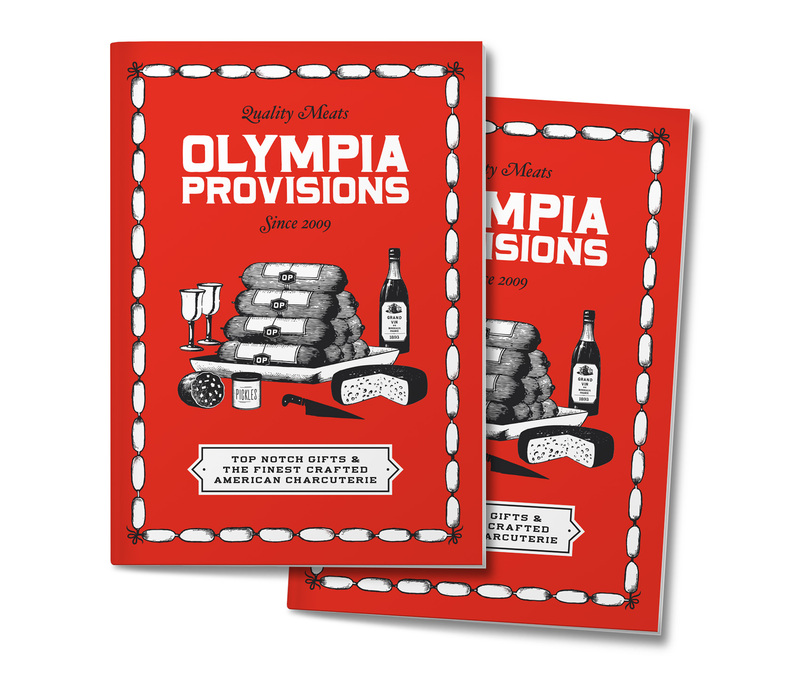 This style of icon was partially developed in the early stages of a branding project. A cleaner more geometric style was chosen, but I liked the imperfect, soft nature of these. So I did a quick study to build out a set of six, just for fun. 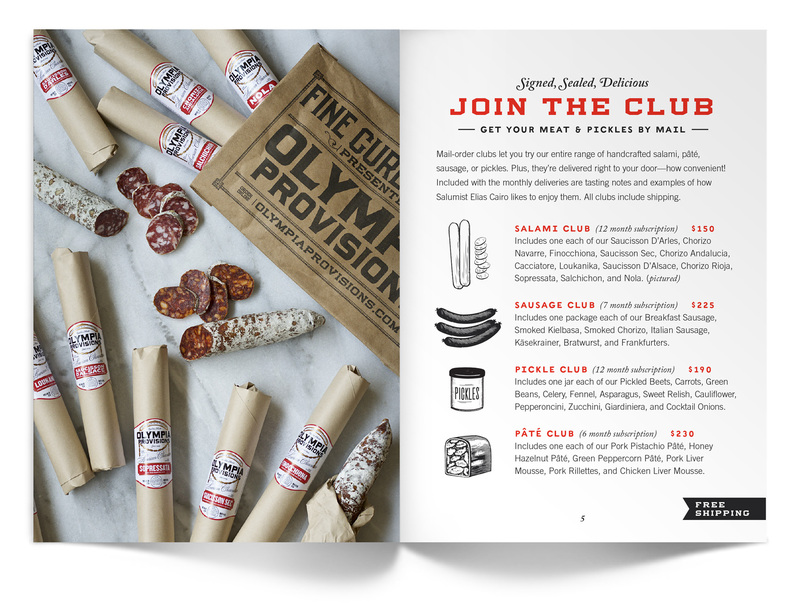 My most recent project for Olympia Provisions was creating their consumer catalog – a curated line-up of OP’s best charcuterie in a small, fun digestible size and format. 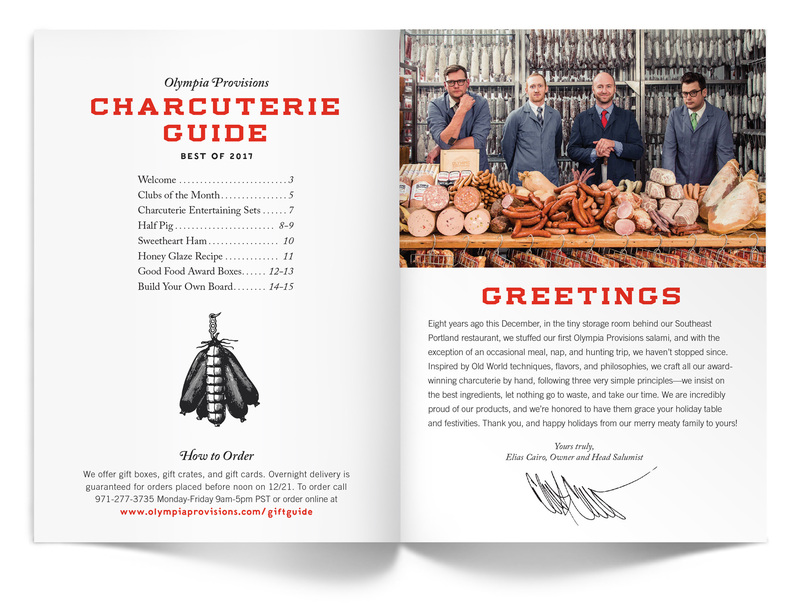 It is used promotionally at farmer’s markets and trade shows and sent directly to customers, and later in the year will also function as a holiday gift guide. 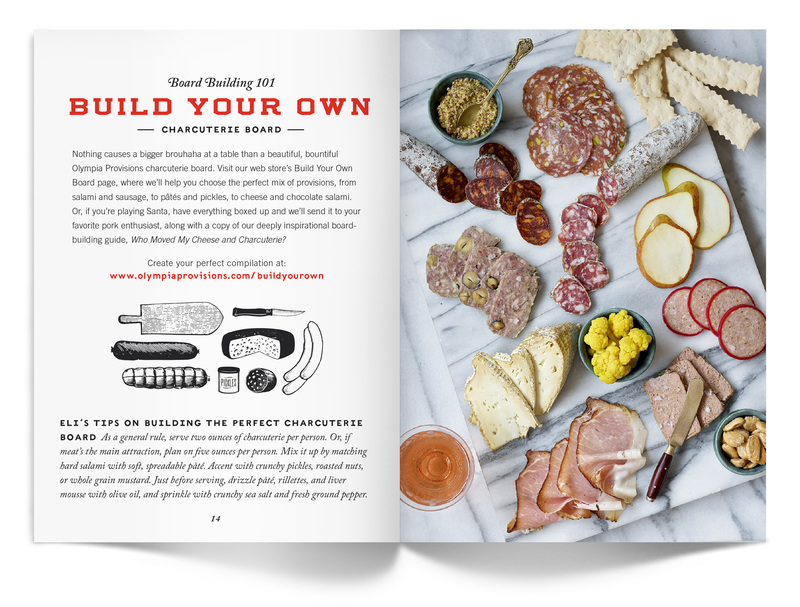 From a designer’s perspective it was also a lovely project because it combined a photoshoot with David Reamer, working with one of my favorite food copywriters Jen Stevenson, and detailed page layout (yum, stylesheets!). 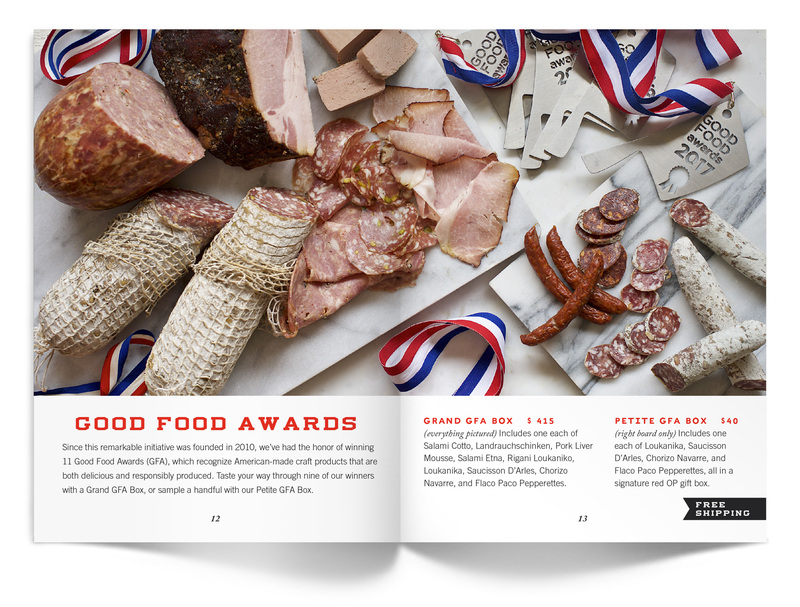 A bright red cover in a hand-held size of 5×7 inches catches your attention merrily and is festooned with a border of bow-tied sausage links. 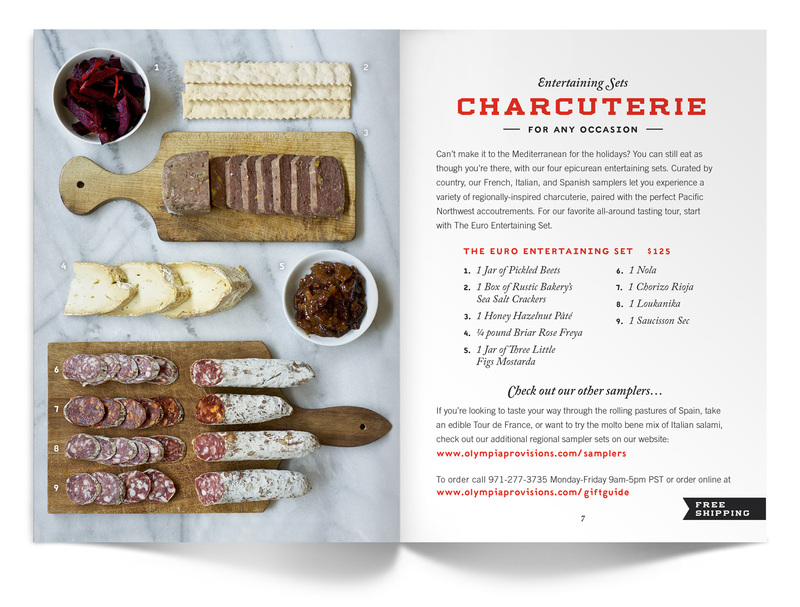 The cover artwork was painstakingly created from scanning vintage cuts, or letterpress images, and piecing them together to create the scene we wanted. 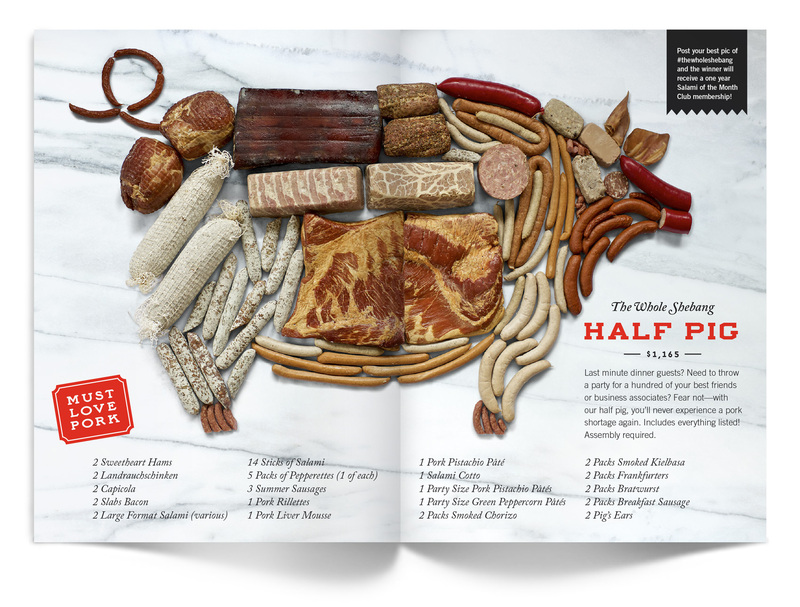 Of special note is the The Whole Shebang spread, technically described as half a pig. 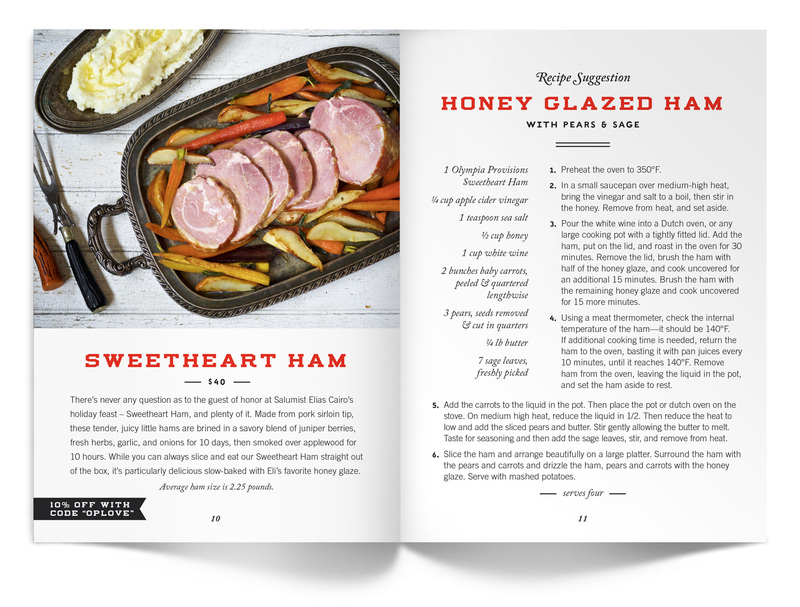 Read more about the creation of the photo here, and may you never experience a pork shortage again!